We create websites to meet your needs! Our websites are built on the award winning WordPress publishing platform which allows us to create powerful search engine optimised websites. We believe that your content should be easily accessible, easily searchable and easy to update, not hidden behind unnecessary animations and a hard-to-use navigation. The built-in WordPress editor is easy to use – if you can send an email, you can add or edit content on your website. We’ll even throw in 1 hour of free phone / Skype training with all websites! People often ask us “How much does a website cost?”. This is similar to asking how much a car costs! Like cars, websites come in different shapes and sizes and have different features and functions. The good news is that your website will most likely cost less than a new car! To find out more about our prices, get in touch and once we’ve had a chat we can provide you with a quote. We can provide industry standard website hosting and our green servers ensure your website is hosted in an environmentally responsible data centre, so you don’t have to feel guilty about leaving the lights on all night. We can register all top level domain name(s) and host them on our servers for you. We can also advise you on the best domain names to register for your organisation. Tired of using joebloggs79@hotmail.com as your business email address? We can set up @yourdomain.com email addresses for your company. We also specialise in the Google Apps for Business cloud service which allows you to brand Google services such as Gmail, Calendar, Docs and Drive with your own domain name, giving you access to all of your important data wherever you are online. Don’t know where to start with your website copy? We can create content for you and make sure it’s kept up to date. Is your website hard to update? 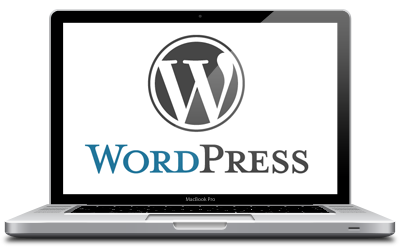 We can migrate your website to an easy to update WordPress site. Please see our clients page for examples of our work.